Flogging a dead horse, or the best bargain on the net? 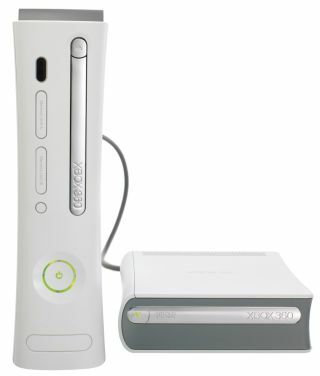 Amazon has been caught trying to tempt its US customers to buy an Xbox 360 HD DVD drive and six movies for only $80 (£40). Although the offer isn’t available anymore, that didn’t stop our eagle-eyed colleagues on T3 from spotting the deal and posting up a story. Now, forty quid for a hi-def player and six movies is a fantastic deal by any standards, even for a player that requires an Xbox 360 to function and supports a hi-def disc format that’s generally accepted to be slowly dying on its arse. Still, full credit must go to the HD DVD camp for showing such generosity in the face of adversity. Given that HD DVD discs normally retail for about $25 (£12.50) in the US and the standalone Xbox 360 drive normally costs $130 (£65), each lucky buyer of the $80 Amazon bundle has saved themselves about $200 (£100) at camp HD DVD’s expense. Of course, here in the UK prices are even higher than that, which begs the question: will Xbox-owning HD DVD fans over here be getting a similar ‘too good to refuse’ offer? According to our man on T3, there’s still no official word at present, but it looks entirely possible. If the deal does hit the UK, interested buyers will need to move quick as it’s reported that the offer lasted only minutes in the US before every available HD DVD unit and complimentary movie had been snapped up.